The mission of Braun’s Nursing Home is to provide high quality care with compassion and respect. The Braun Family is dedicated to unrelenting attention to nursing excellence, resident safety, sound business practices, and fiscal responsibility in an environment the meets the needs of residents, families, and staff. 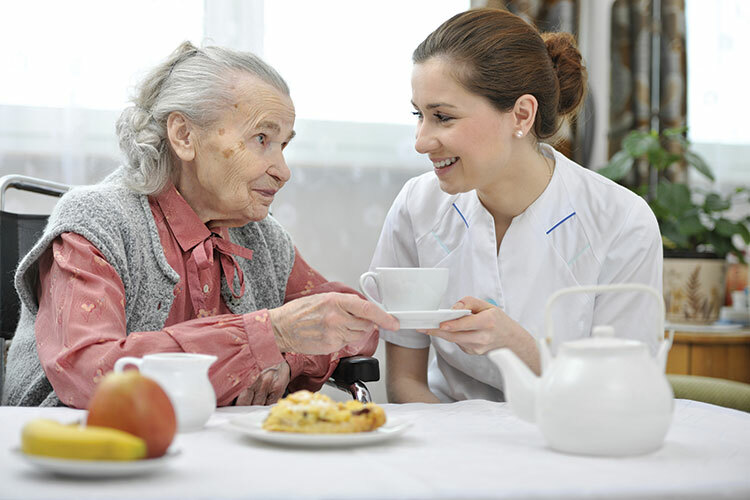 At Braun’s, we promote the dignity and self-worth of all of our residents, and strive to give them excellent quality of life, as defined by the residents, individually and as a group. To that end, we encourage resident group decision-making through the House Councils, and self-determination in activities, socialization, and food preferences. Braun’s Nursing Home is not just a caregiving facility—it is their home, and their community. We also value the time, skills, and expert opinions of our staff. We are committed to providing fair and living wages, reasonable, structured work schedules, and clear duties and spheres of rights and responsibilities for each team member. We do not expect staff to do work for which they are not trained; we do expect them to share their suggestions for improving any aspect of Braun’s working operations or caregiving. We aim to provide jobs which not only provide sustenance for our workers' families, but also allow them a space to make a difference in the world around them, through caring and expert assistance to our community's most vulnerable members.